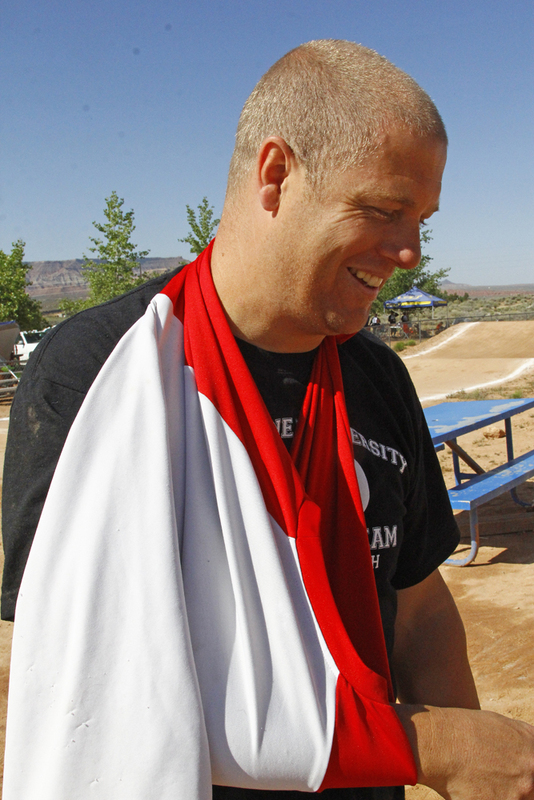 VIRGIN – Eleven years ago, Jay Lee, then mayor of Virgin, a small town of about 600 people located 20 miles west of Zion National Park along state Route 9, pushed to get a BMX track built. 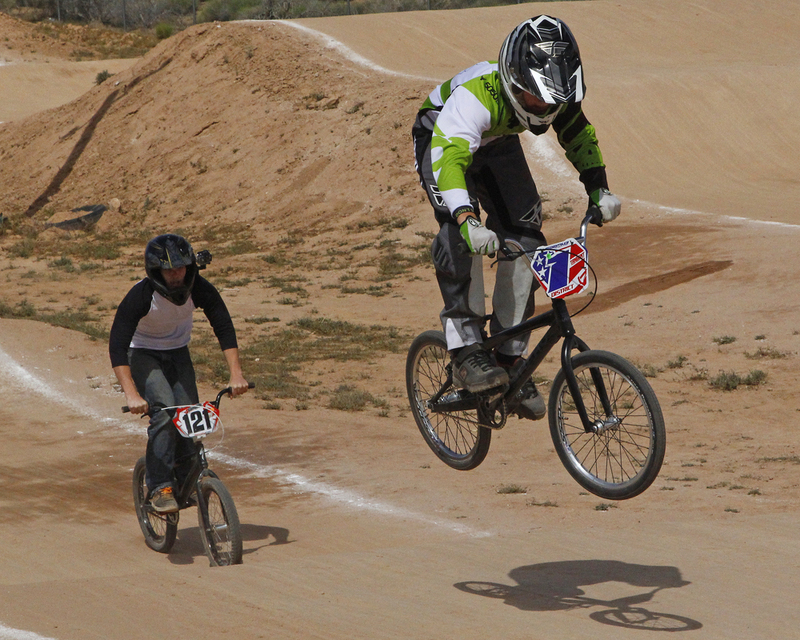 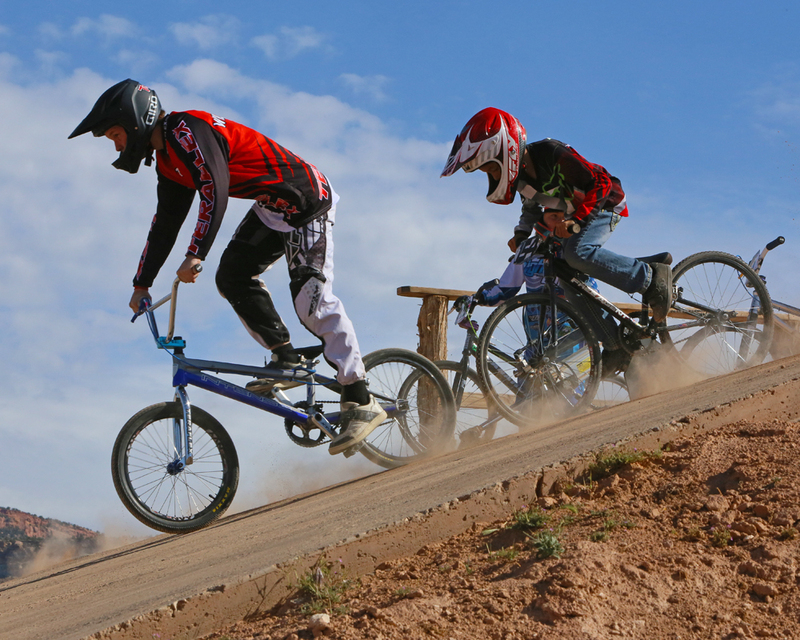 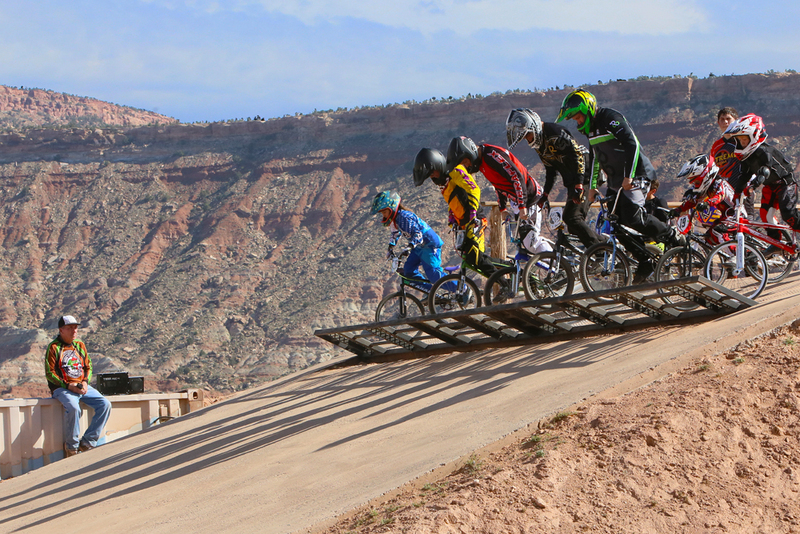 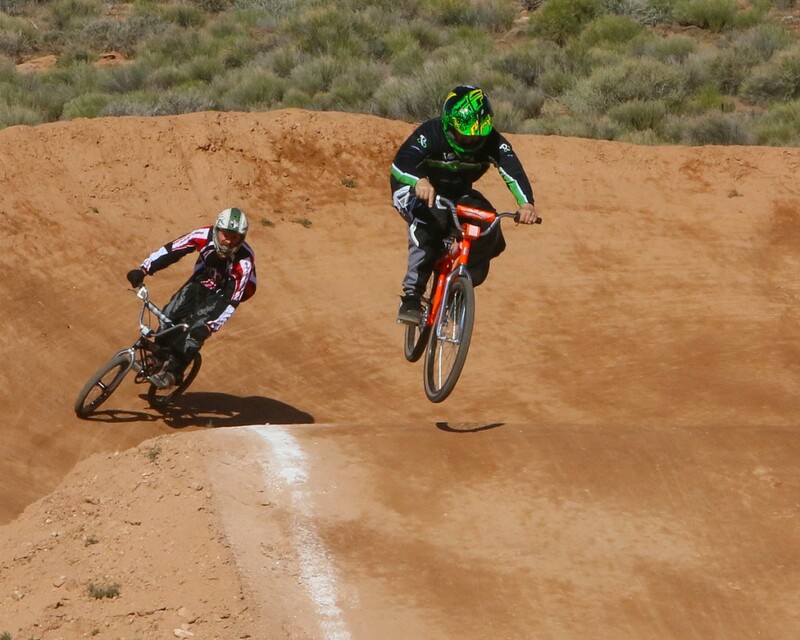 This weekend, the Virgin Regional BMX track at 900 N. Kolob Road hosted one of the BMX state championship qualifier races. 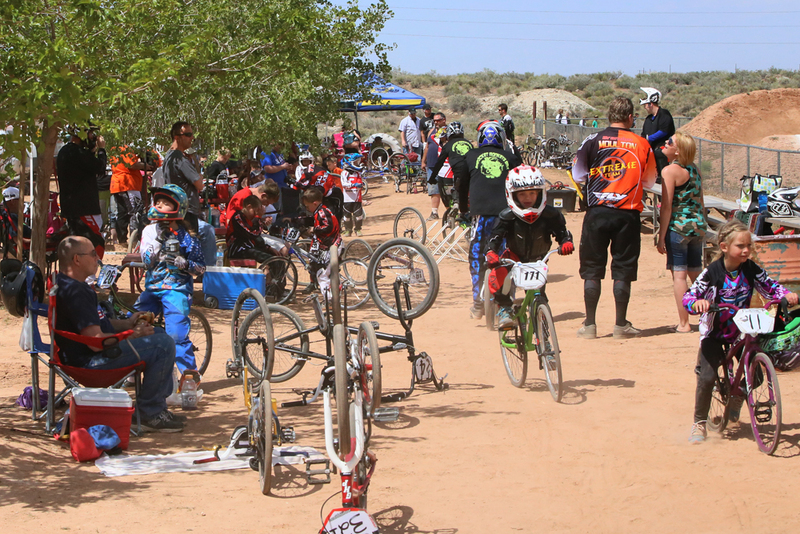 Competitors of all ages gathered Saturday to earn valuable points needed to race in the BMX state championship. 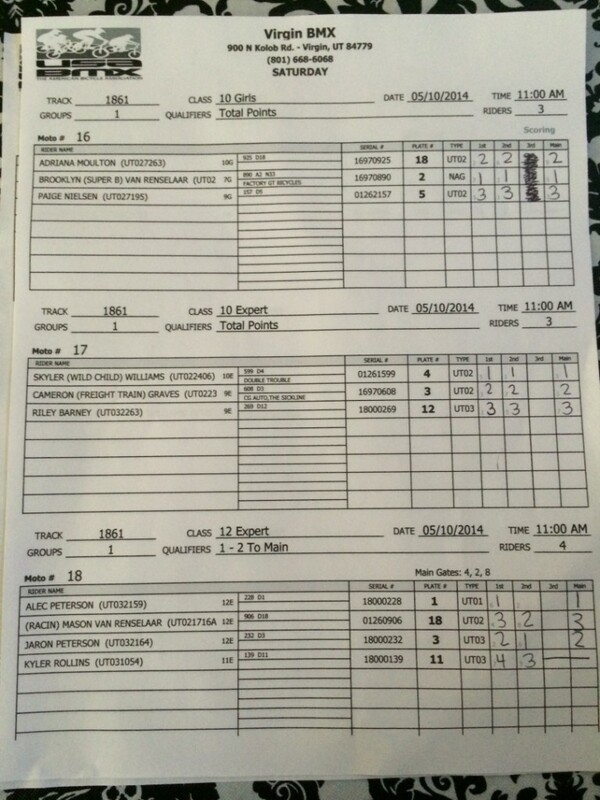 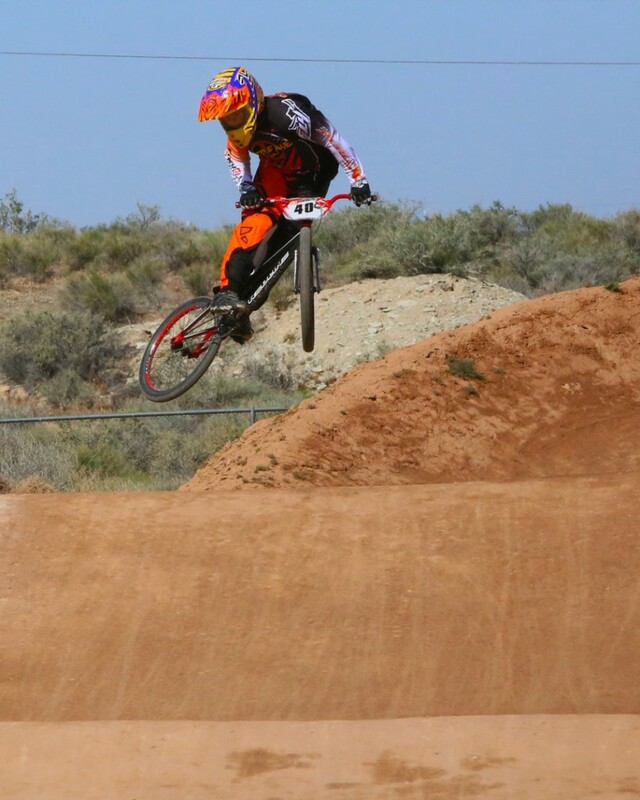 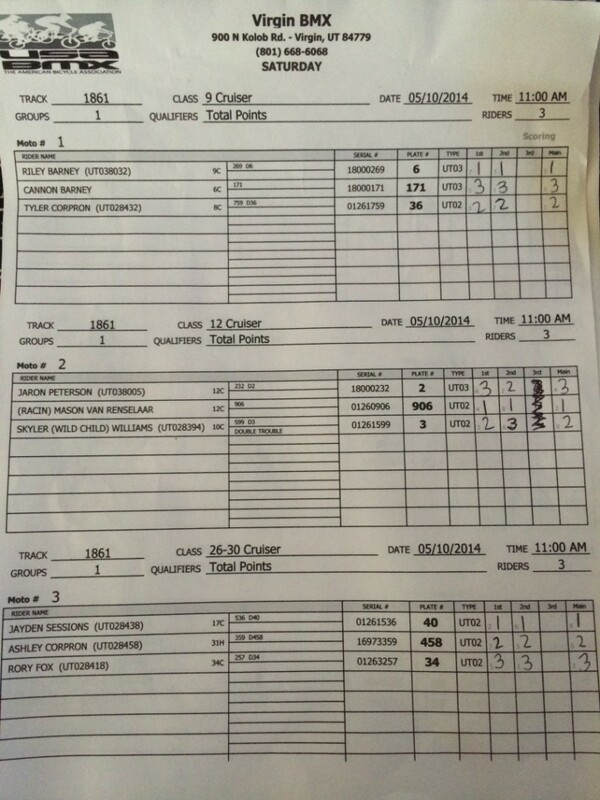 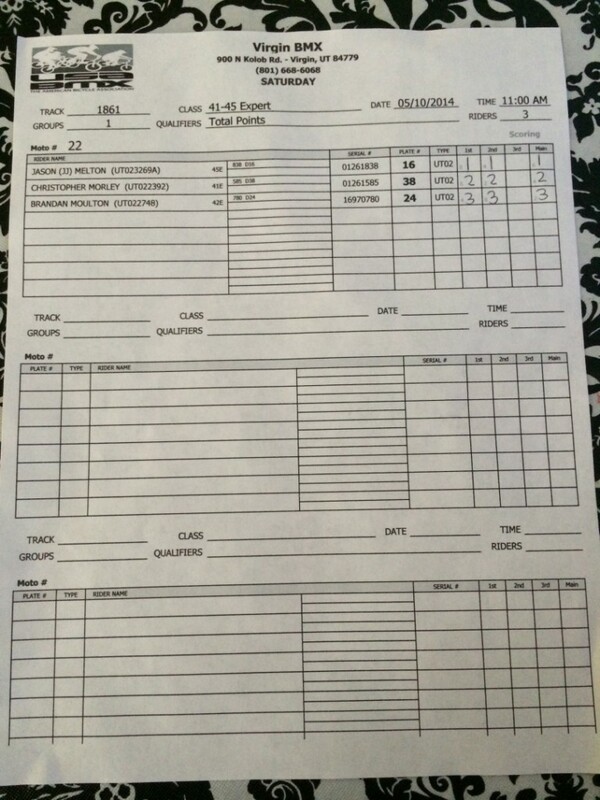 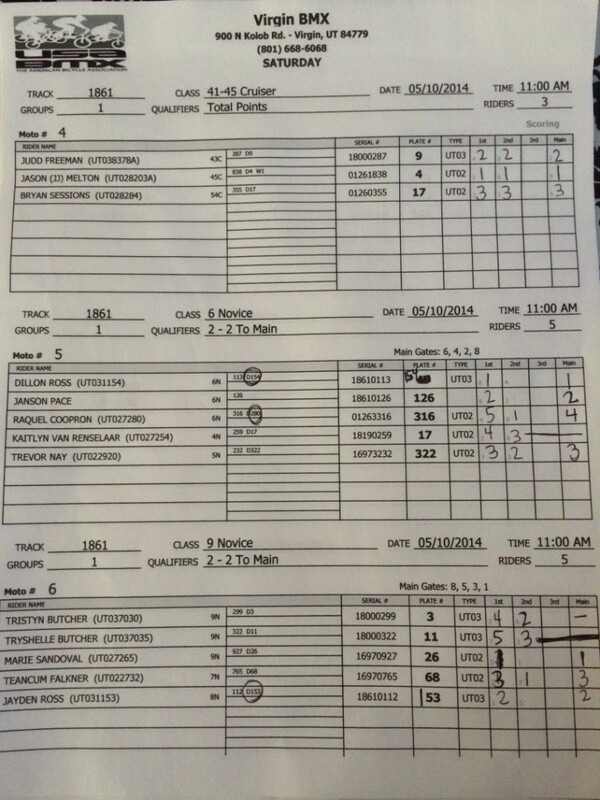 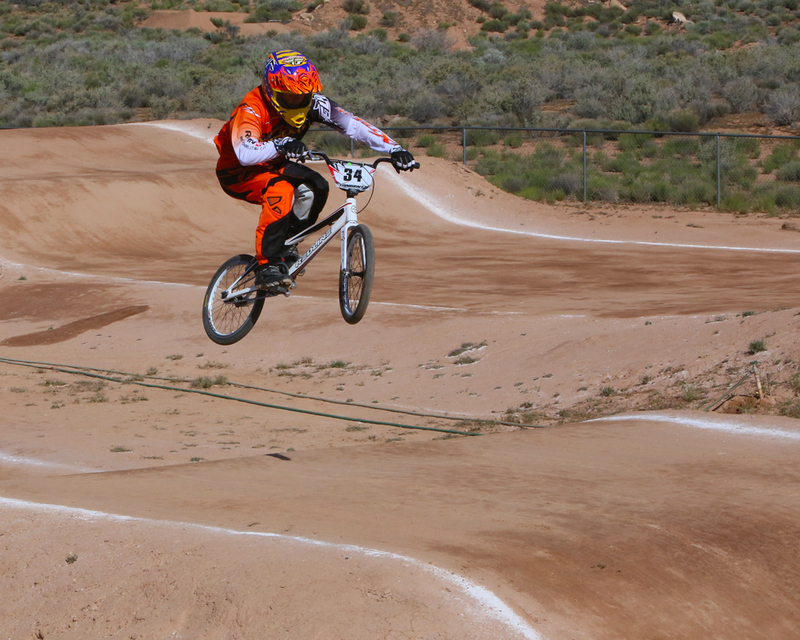 Points are combined with the rider’s points from other BMX races in Utah where the top riders in each class will vie for state championship bragging rights this summer in South Jordan. 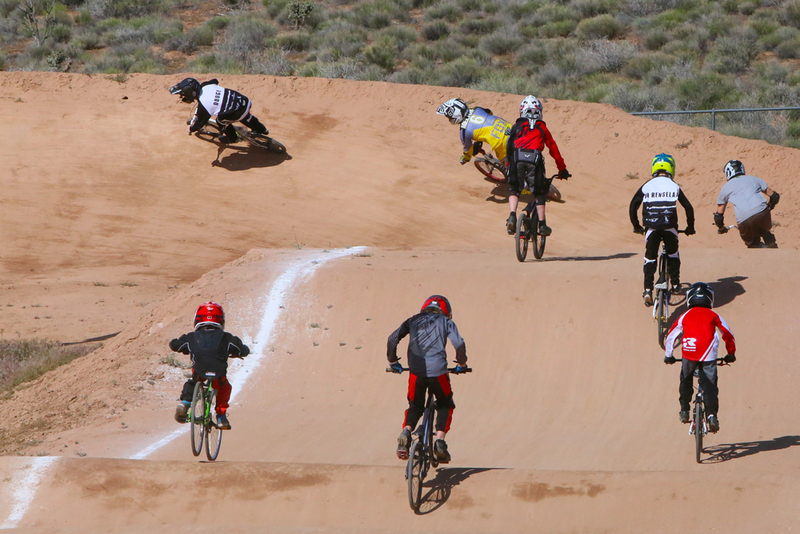 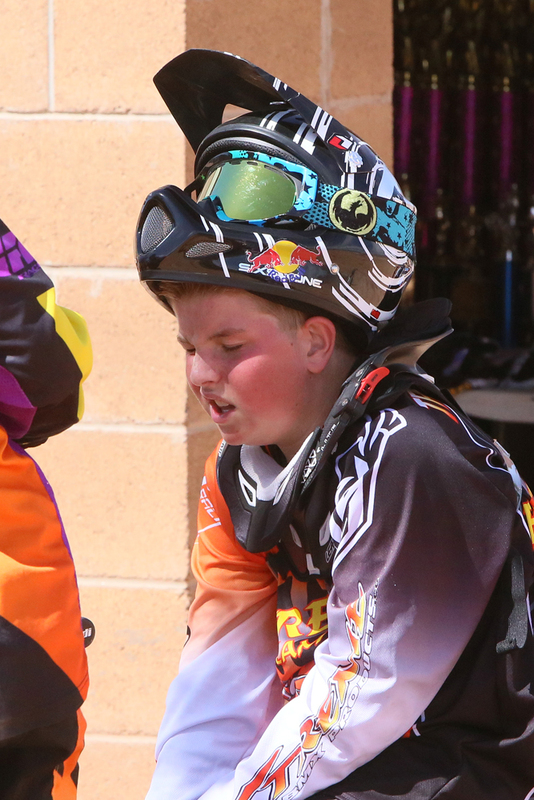 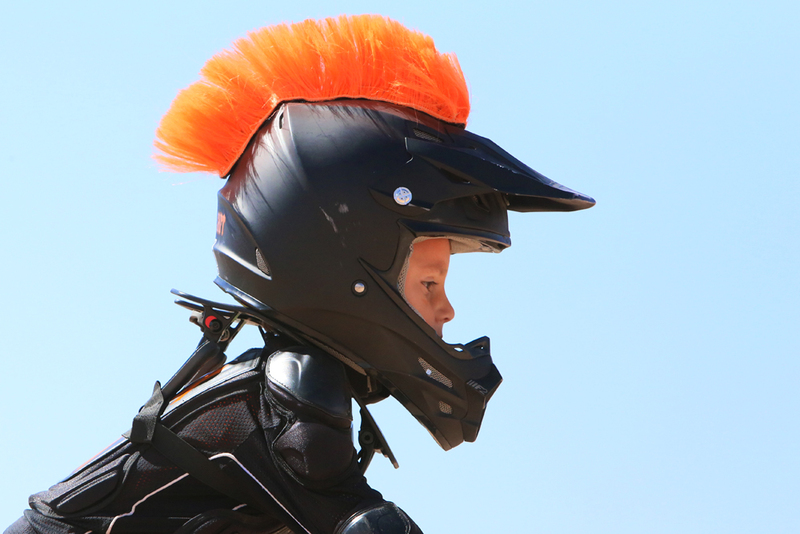 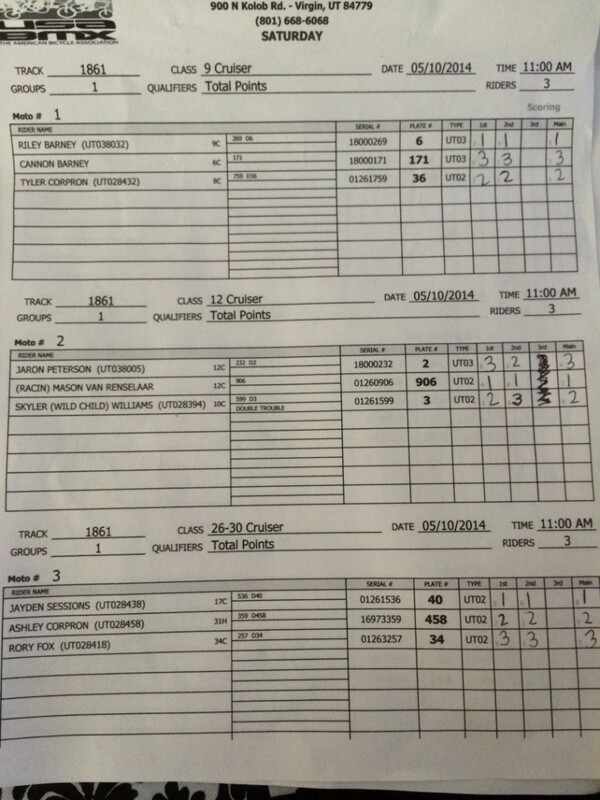 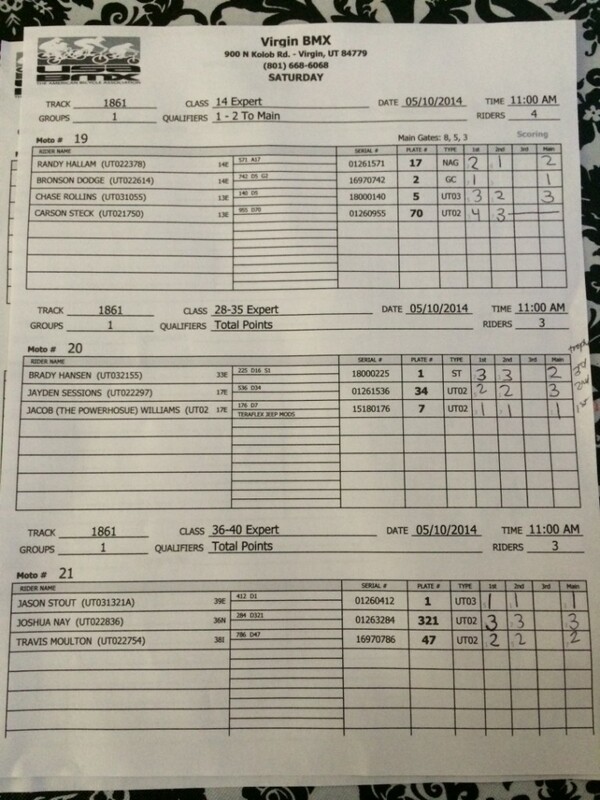 Saturday, riders from more than 300 miles away raced at the Virgin BMX track. 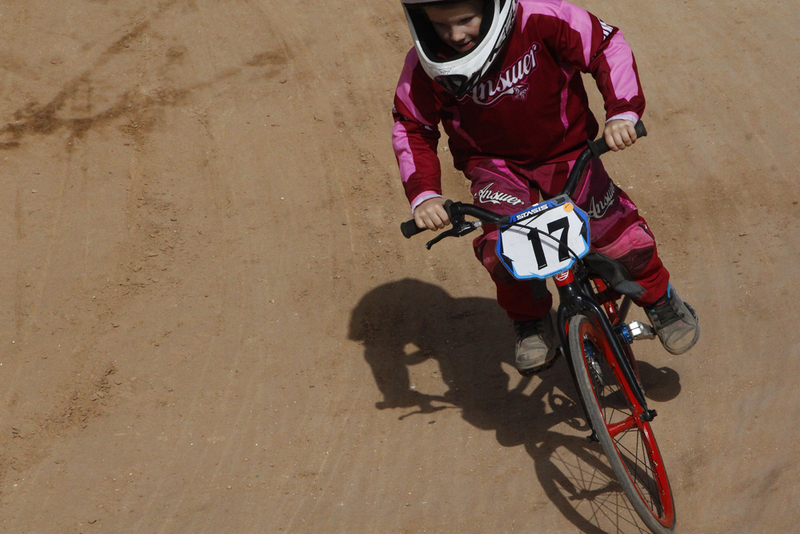 The event offers classes for beginners, intermediate and expert within their age group. 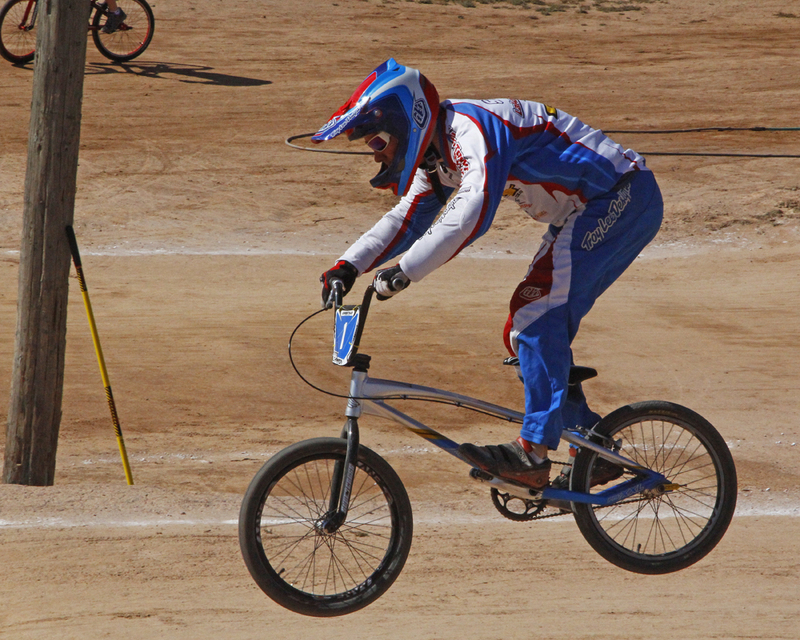 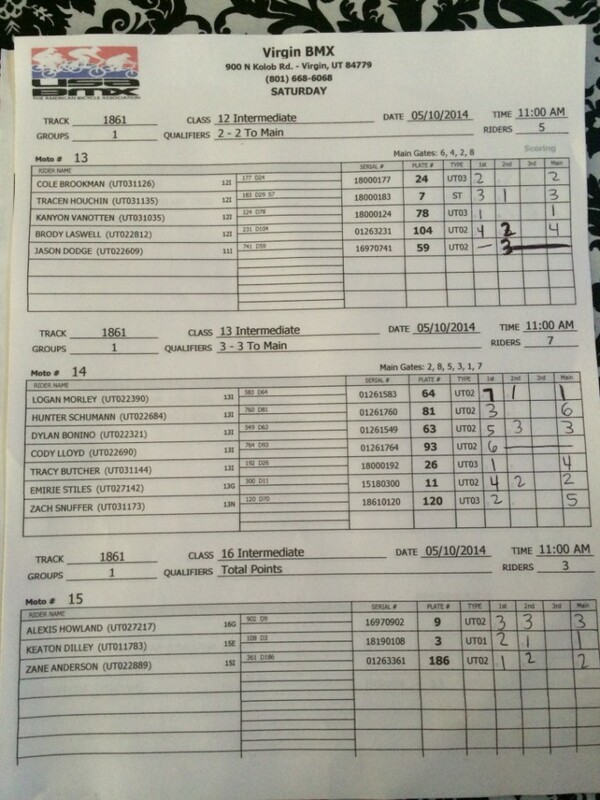 BMX became an Olympic sport in 2008, with Americans winning both the silver and bronze medals. 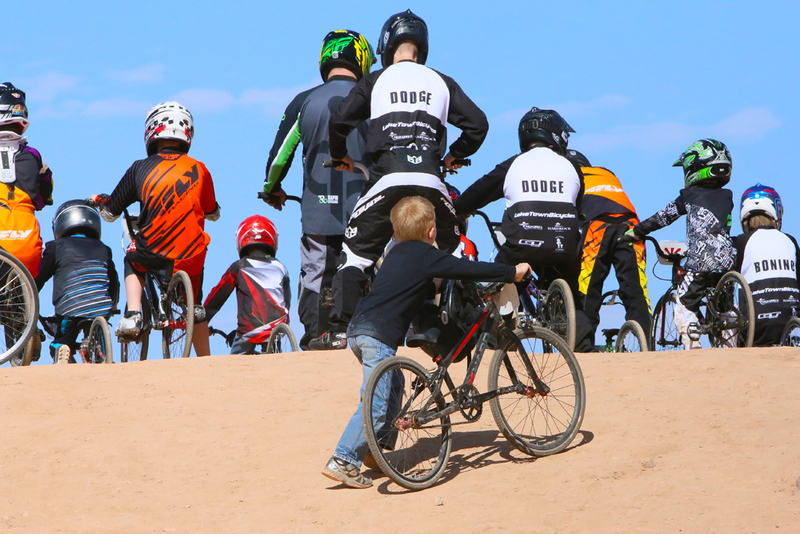 Carson Ferrin and Fred Smith along with Arthur Smith are responsible for track operations at the Virgin BMX track. 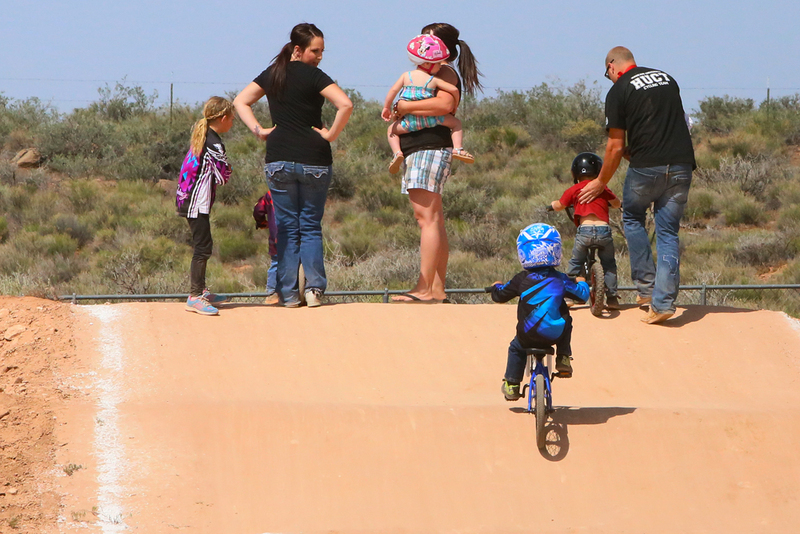 Recently, a playground and sandbox have been added and the bathrooms have been remodeled. 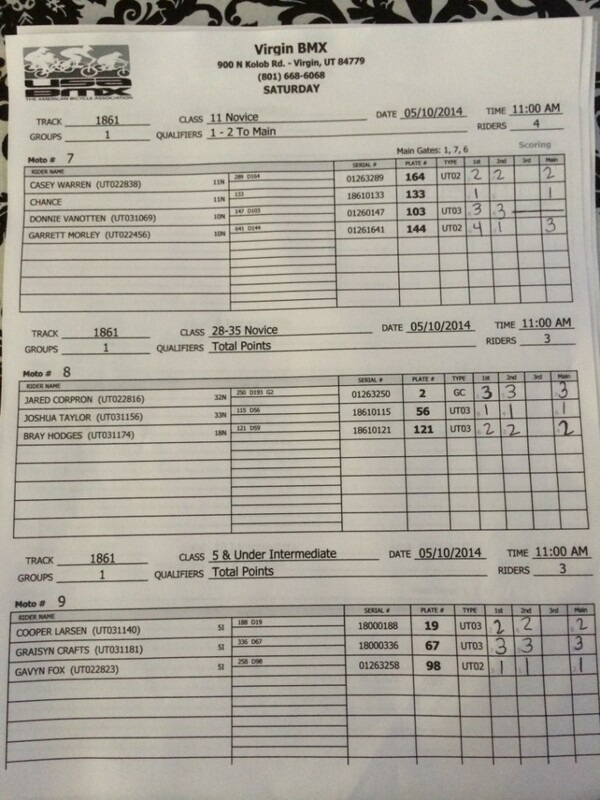 Over 150 hours have been spent in the past 2 months getting the track prepped for this state-qualifying event. 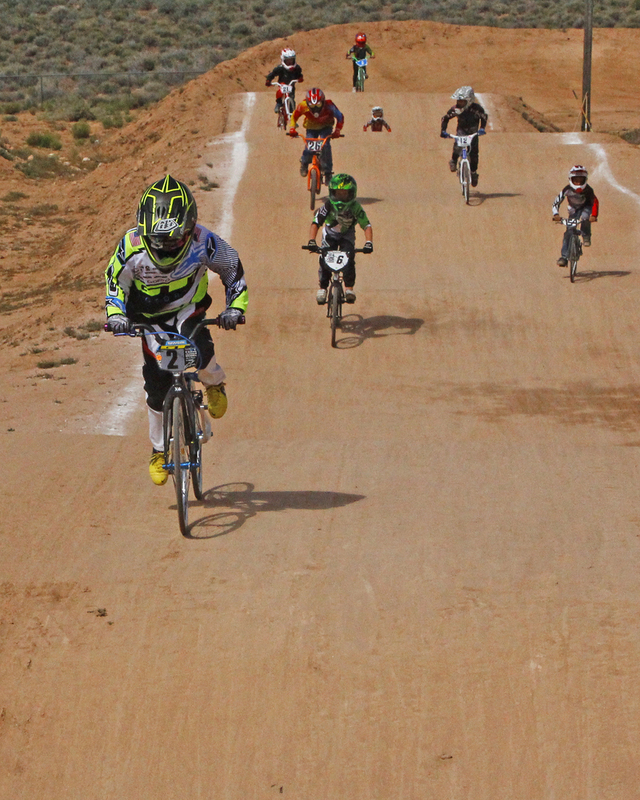 When Ferrin is not volunteering at the Virgin BMX track he is protecting Washington County as a deputy sheriff. 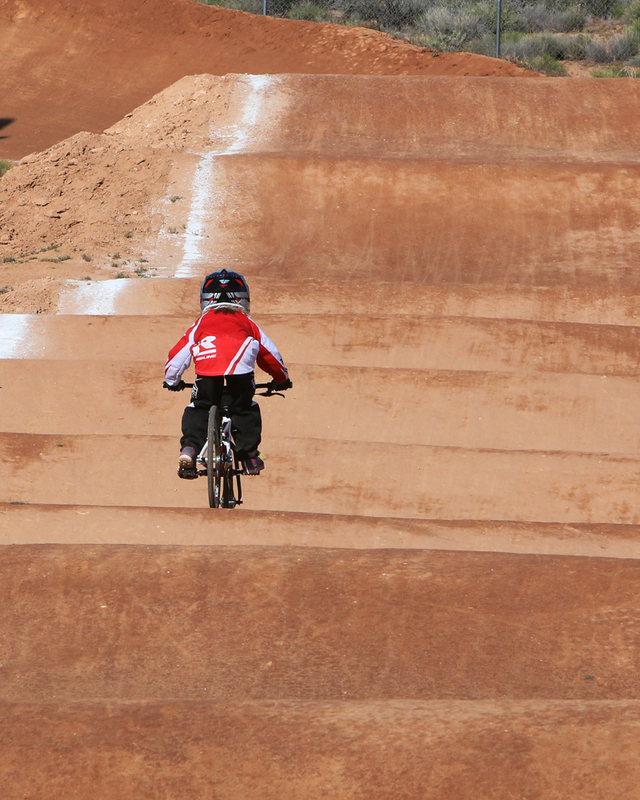 The Virgin BMX track is open for practice every Wednesday around 6 p.m. until dark and every other Saturday. 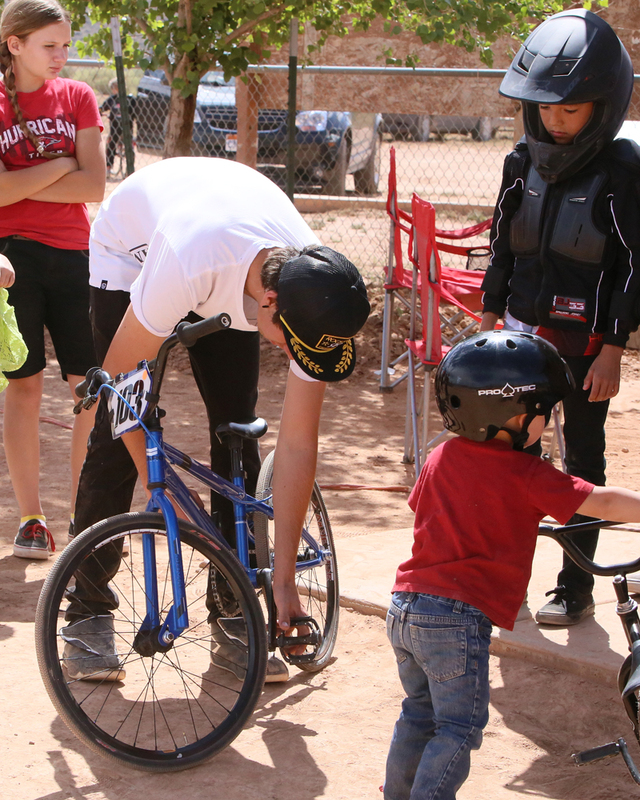 The cost is $3 per person to use the track and Virgin BMX offers bikes and helmets for those who need them.